Last year we had a couple of events at PAX, one being the launch of Uncharted 4 (you can read about that here), the other being the launch of Fallout 4. What a year for tetralogies! 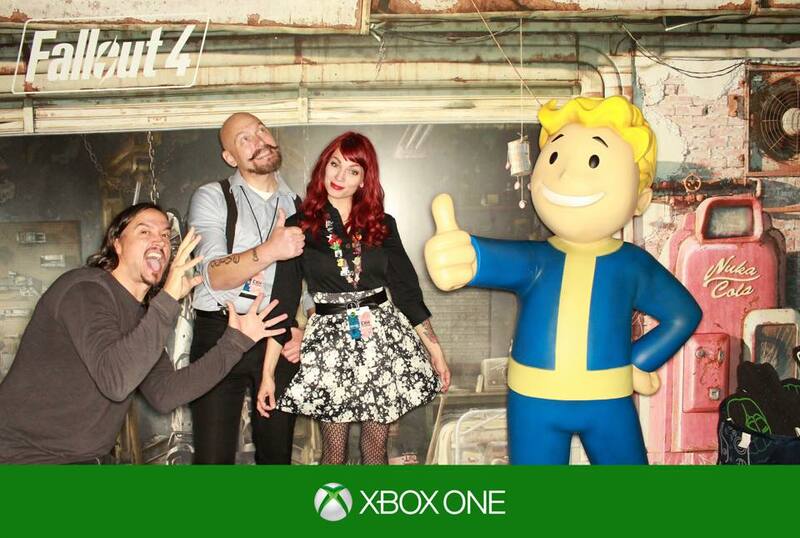 XBOX invited us out to add the glitz and the glamor to an already glitzy and glamorly event. Obviously we were up to the task. Featuring a custom printed back drop, and onsite instant printing. For this event we paired up our open air iClick Photo Booth with a Custom Printed Back Drop, designed using images from the game. We had our Social Sharing Station on site so that everyone was posting directly to Twitter or Facebook, or they could opt for just emailing themselves the photo, thanks to Picshareit. Thanks, Picshareit! Oh, and of course everyone walked away with a print of their Fallout 4 moment, which had a custom branded overlay. We hosted all of the images on a web gallery that XBOX wanted us to create for easy access to download, or to post onto social media later on. Once our booth’s attendees were through getting their photo taken (the first time), they all walked away with a gift in the form of either a t-shirt or a foam finger. For added effect, five lucky attendees were chosen at random to receive a limited edition XBOX wireless controller. It is always fun to reminisce on past PAX events, especially now as we look to the upcoming PAX West and wonder what all we’ll get to play with, who we’re going to get to work with and what we’ll be promoting. Oh, and of course, enjoying Seattle’s steep hills. Seriously, though: who thought those steep hills would be a good idea?